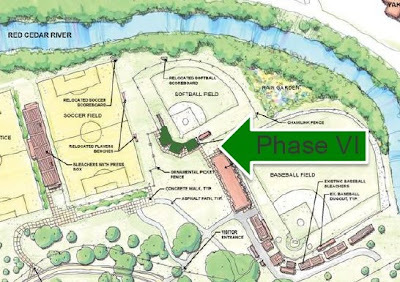 The next phase of construction at Old College Field is gearing up, this time affecting the softball field. 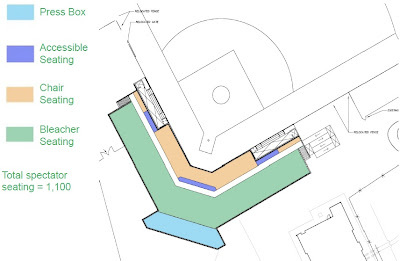 While the new baseball stadium opened for this season, renovations throughout the complex are still ongoing, such as at the concessions and restroom building. 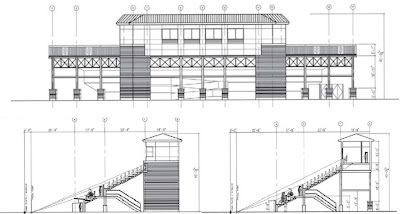 Now work is getting ready to begin to upgrade the stands and press box for the softball field. Plans were presented for the new Drayton McLane, Jr. Stadium at this month's Construction Junction in Wells Hall. 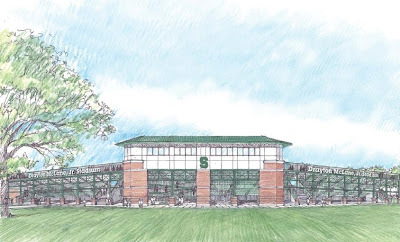 These plans will go before the MSU Board of Trustees in September before any work will begin, but the plans are part of an already approved overall development plan for the Old College Field project, so don't expect there to be many changes to these. The complete presentation may be found online here.